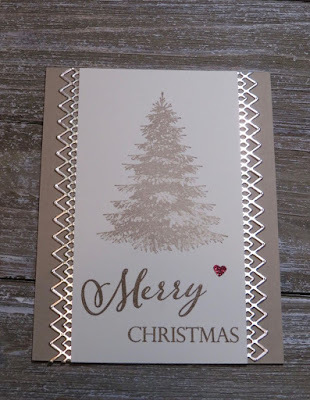 Karina's Kreations: Beautiful Winter Woods Card! I received this swap from my friend Sue Patrsyk. 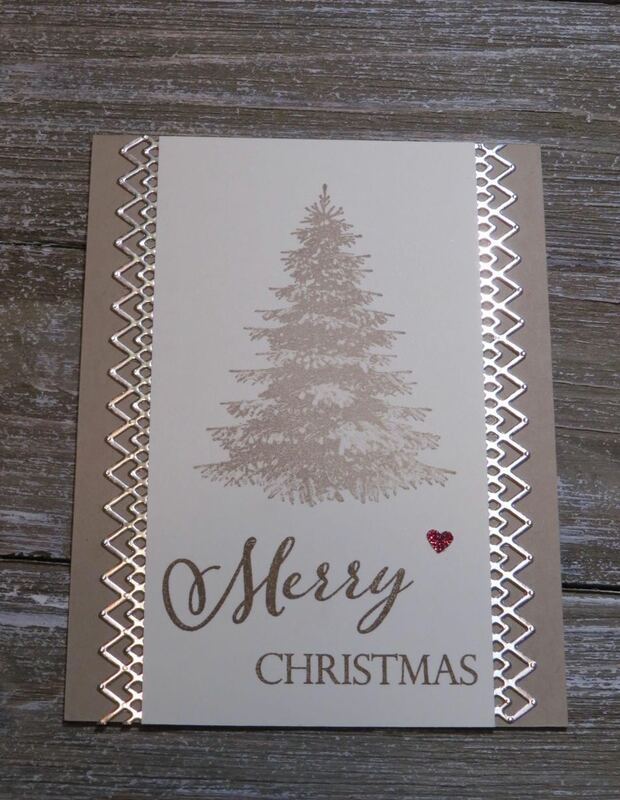 I love how she paired the Winter Woods stamp set with the Merry Christmas Thinlit Dies. Do you love the beautiful border she created? She used the Delicate Lace Edgelit Dies. These are a hidden gem. They are on page 217 of the catty and I highly recommend these. Here's a supply list to recreate Sue's card.